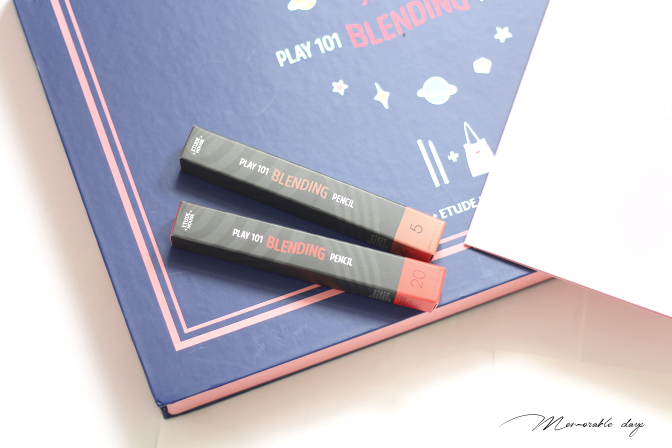 Swatches: Etude House - Sweet Box Play 101 Blending Pencil | Memorable Days : Beauty Blog - Korean Beauty, European, American Product Reviews. Hi all! Guess what? 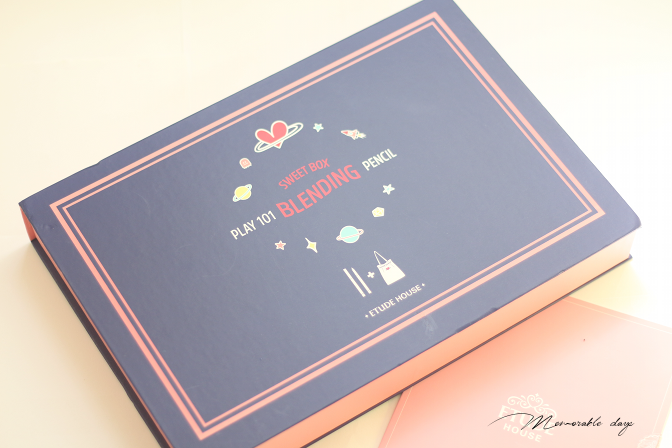 I am chosen to be one of the Etude House Pink Bird Bloggers! If you follow me on my 2nd instagram account: Sokobeauty, you already knew that I received this box from Etude House. 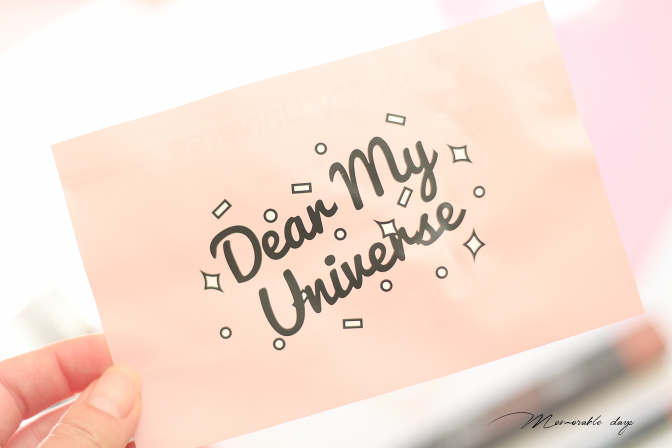 I have been blogging about the new products of Etude House for years and now I finally get to try their latest products and make swatches for you girls. 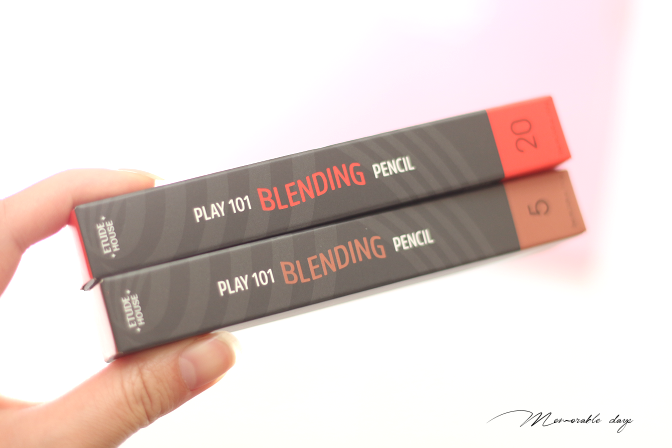 I have blogged about their latest products in my previous post which were the Play 101 Blending Pencils. 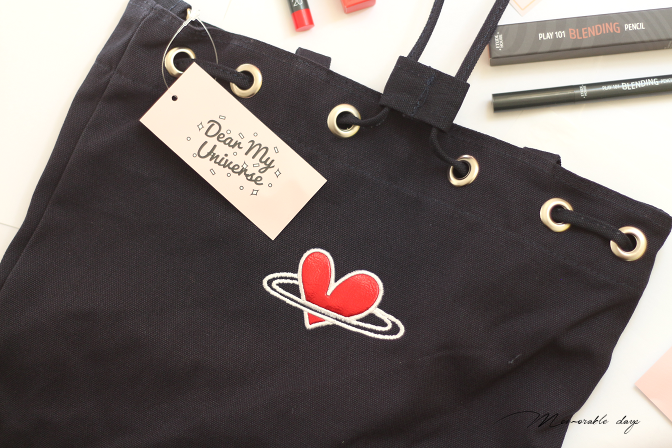 Etude House has send me the Sweet box which includes a bag in collaboration with Dear My Universe and two Play 101 Blending Pencils: #5 and #20. I will show you the box in more detail in today's blogpost! It comes in a big blue and pink box. Once you open it, you will see the bag and the two pencils. 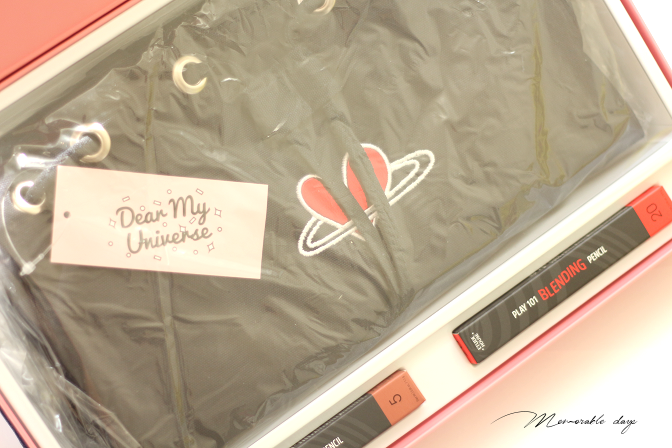 This box features a collaboration with a Korean accessories brand called ‘Dear My Universe’. I love how the box looks, definitely going to re-use that for other items! 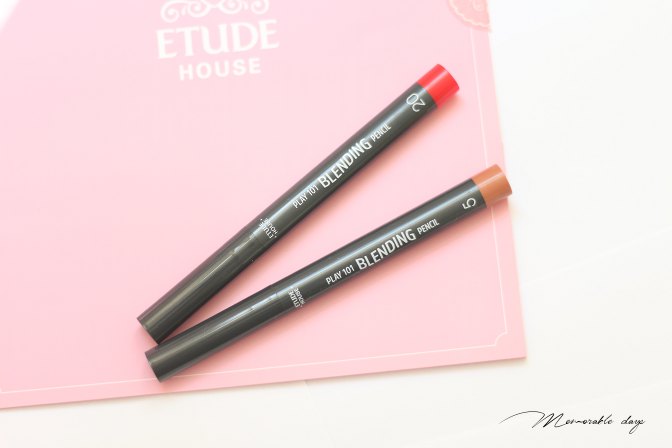 Blending pencil #5 is a camel brown color which is suitable as eyeshadow, the #20 pencil is an orange/red pencil for the lips. They are both creamy and easy to blend. 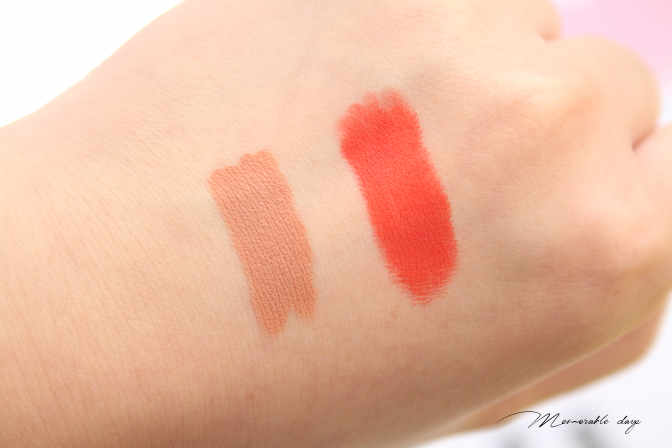 The shades are gorgeous and has a great pigmentation! The colors are pretty intense. As you can see it's very easy to blend. I didn't have to rub to blend it, it just blends very smoothly. One downside is that my fingers does get pretty dirty because of the blending lol, so got to make sure to wash your hands afterwards, otherwise you will get it all over the place. Pencil #5 is perfect as a base for the eyes and surprisingly stays a long time on my oily lids without moving. In below pictures I got shade #20 on my lips. I tried to apply just a little at first to see how easy it is to blend and how intense the color would be and I could easily just build the color up. It's absolutely great for the bitten lips look. It's multi-functional as well since you can also use it as a blusher. It does come off when you eat or drink so re-application is needed. You are able to purchase them at the official Etude house website: etudehouse.com and they are sold for USD$6.86 there (this is the sale price, normally it's USD$9.80 per pencil). I love the whole idea of it, it's multi-functional so some can be used on the lips and cheeks. The other one can be used as an eyeshadow base as well as contouring. 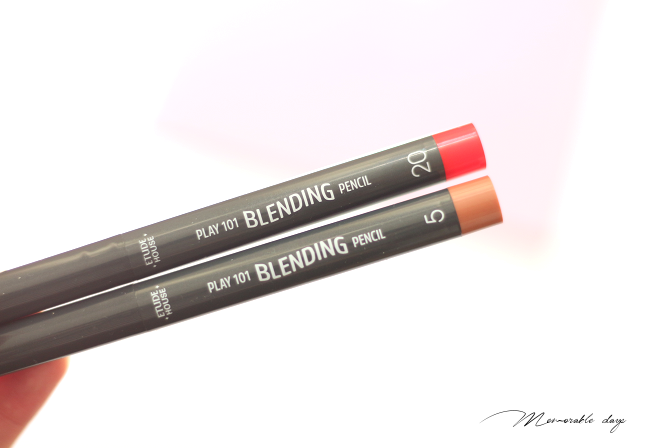 These pencils are great for beginners, it's extremely easy to blend. The pencils are very smooth. It's buildable so you can easily create gradient lips with it. 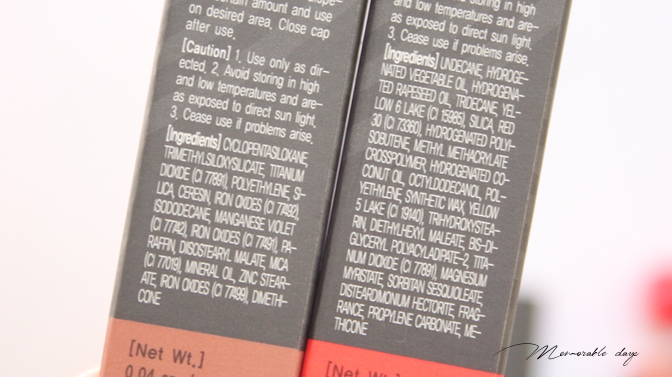 I did notice that #20 has a bit of a rose scent to it, but it's not overwhelming at all. I personally don't prefer any scents on products but this one is very light so I don't mind it. It does feel a bit drying though since they have a matte finish after all. However, I love the pigmentation of the pencils. 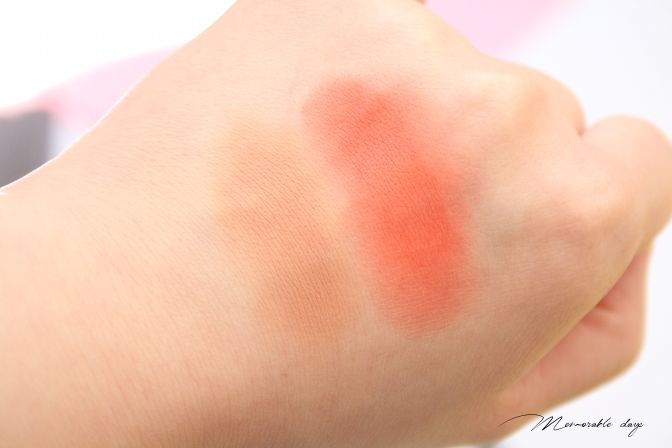 If you are interested to see swatches of all shades, check out my previous blogpost. Overall I like these pencils, the formula is lovely and you can easily play around with it, so much fun!